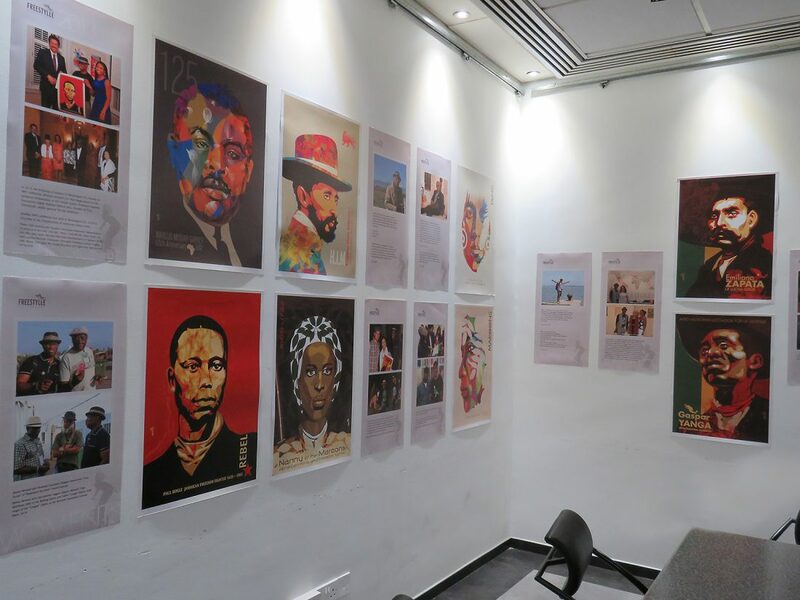 The “FREESTYLEE ROOTS” exhibition opened at the Gallery Restaurant of the University of Nicosia, Cyprus, on March 11, 2017 (it will be up until Monday 20th March). 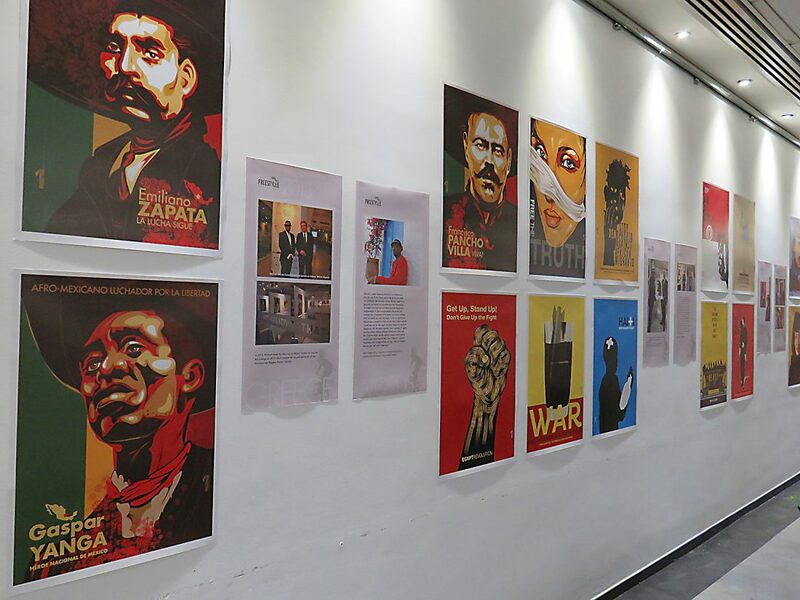 The exhibition was organized as part of the 3rd Graphic Stories Cyprus. 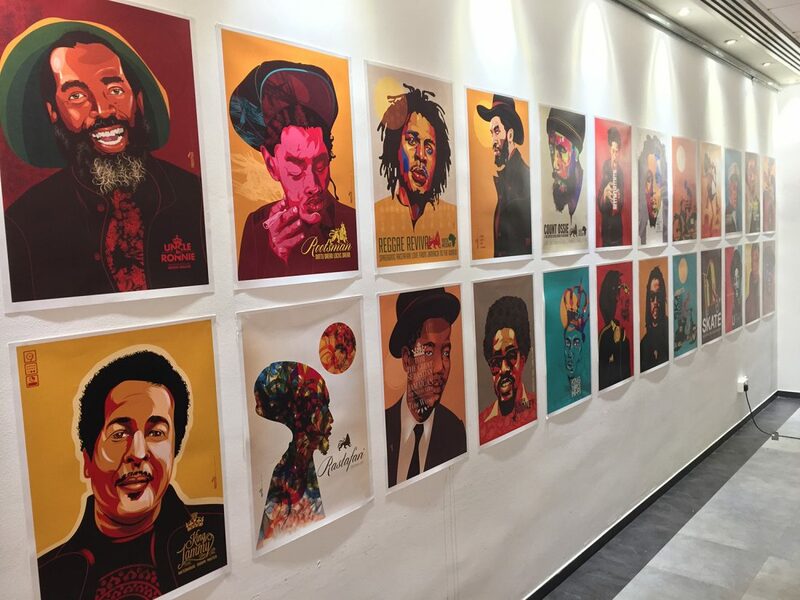 “FREESTYLEE ROOTS” showcased 50 iconic posters and photos of the life journey, family and friends of the Jamaican artist Michael Thompson aka FREESTYLEE artist without borders. 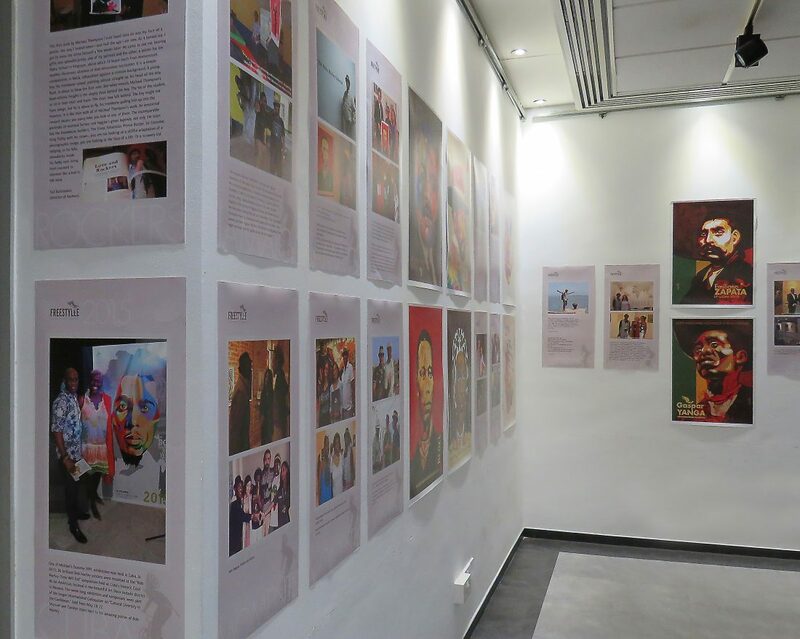 The exhibition was attended by students, reggae fans and designers. The exhibition was wholeheartedly supported by the renowned Cyprian reggae artist and professor, Haji Mike. 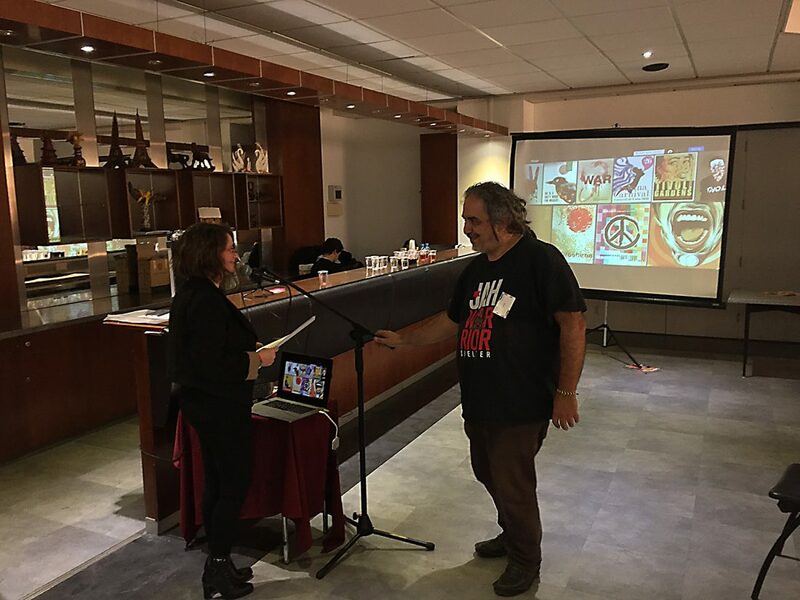 The exhibition was opened by the organizer of the Graphic Stories Cyprus, Aggeliki Athanasiadi, and professor Haji Mike who shared memories of their first meeting with Michael two years ago. Michael’s business partner, Maria Papaefstathiou, deeply moved, presented the life and work of Michael “Freestylee” Thompson. Unfortunately, Michael’s wife, Maria, and son, Dane, who live in the United States could not attend the exhibition. This compelling exhibition features 50 graphic posters conceived as “ROOTS” by Michael Thompson. 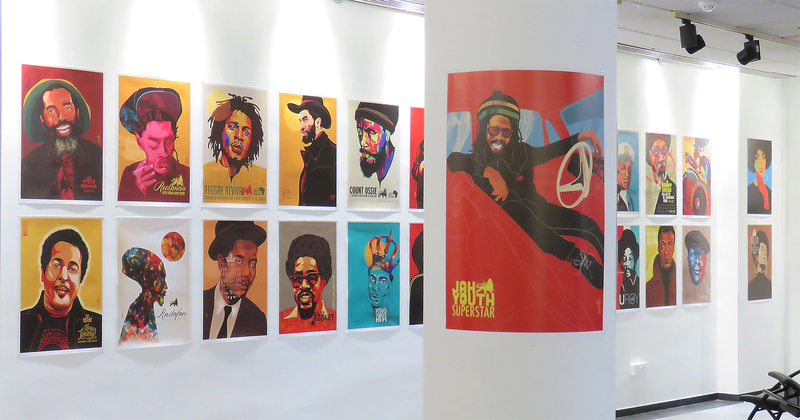 This vibrant collection of posters penetrates beneath the surface, reaching to the foundations of Jamaican culture. The selection was made by the artist himself a few months before his passing and was showcased on March 2016 in Mexico City. 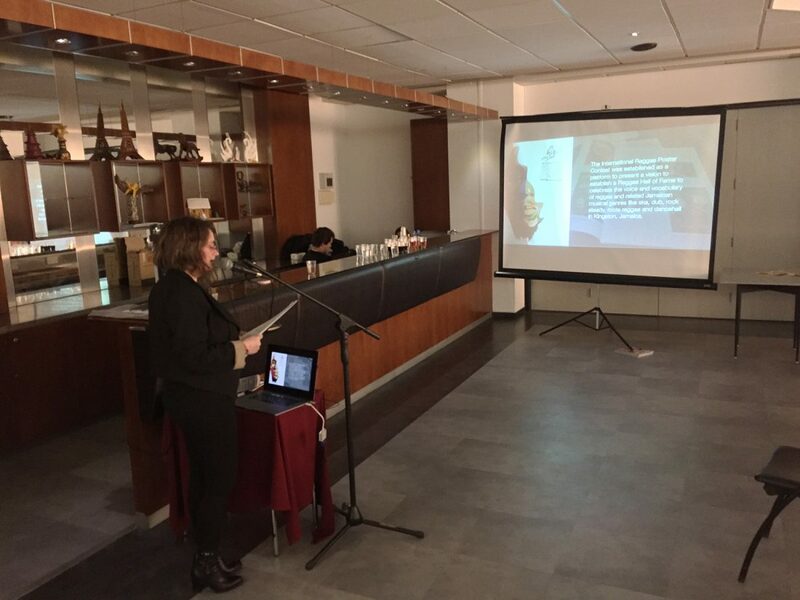 Maria Papaefstathiou wished to continue his legacy by having the same exhibition travel to other places in the world. 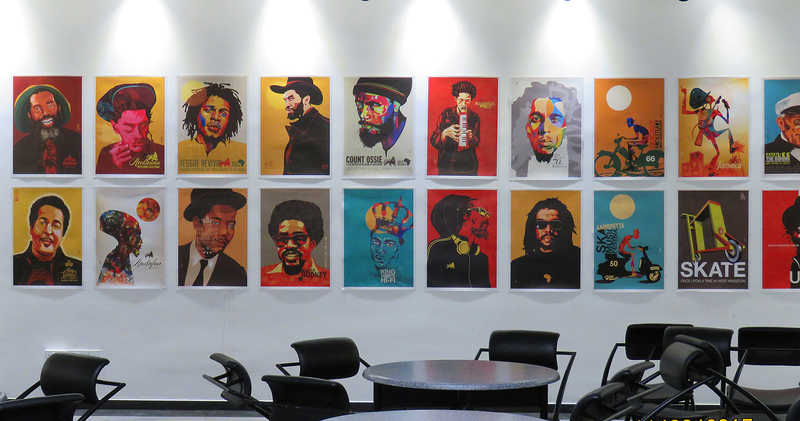 The posters have a strong impact and are an inspiration for students, designers, reggae artists and the rest of the world. “Michael used to say, ‘Keep the flame burning.’ And this is my mission now, to keep his flame burning so more people get to see the art”, Maria said. 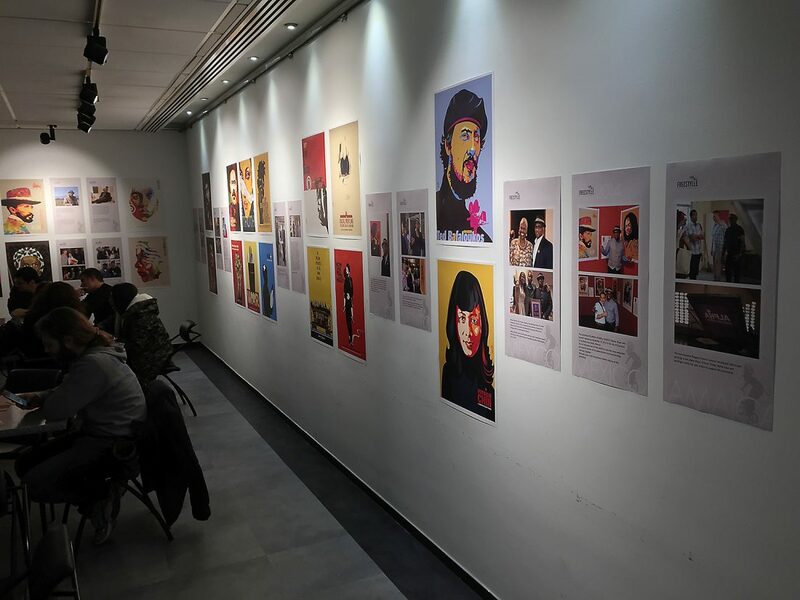 We, Maria, Dane and Maria, thank all involved in this exhibition, starting with Aggeliki Athanasiadi and Miltos Karras of Graphic Stories Cyprus, for hosting “FREESTYLEE ROOTS.” Without them, this exhibition would not have become a reality in Cyprus. 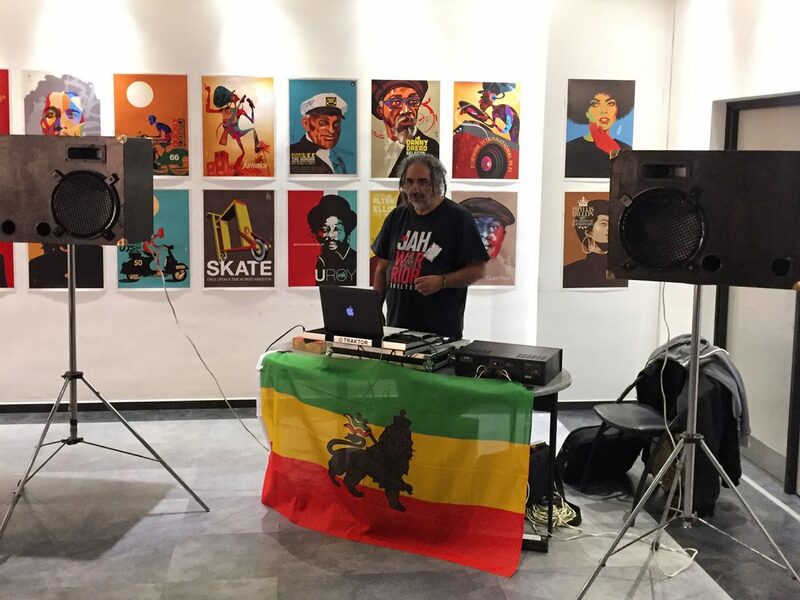 We thank Haji Mike for his amazing support in hosting the exhibition at the University of Nicosia; for bringing his sound system and reggae vibes to the opening; but mostly, for believing in Michael’s dream and his Freestylee artwork. We also thank DJ Savvas Thomas for spinning great reggae tunes. 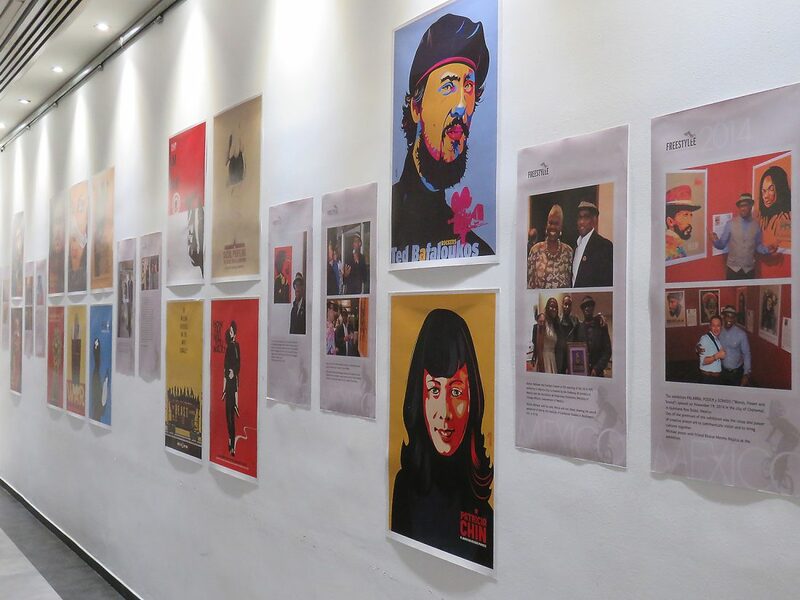 We share our love and appreciation for our friends who helped to mount the exhibition – the amazing graphic designer Lila Skavani; lawyer and reggae artist himself Kostas Margaritakis; graphic designer Xenia Nikolaou; and graphic designer Michael Antonopoulos. 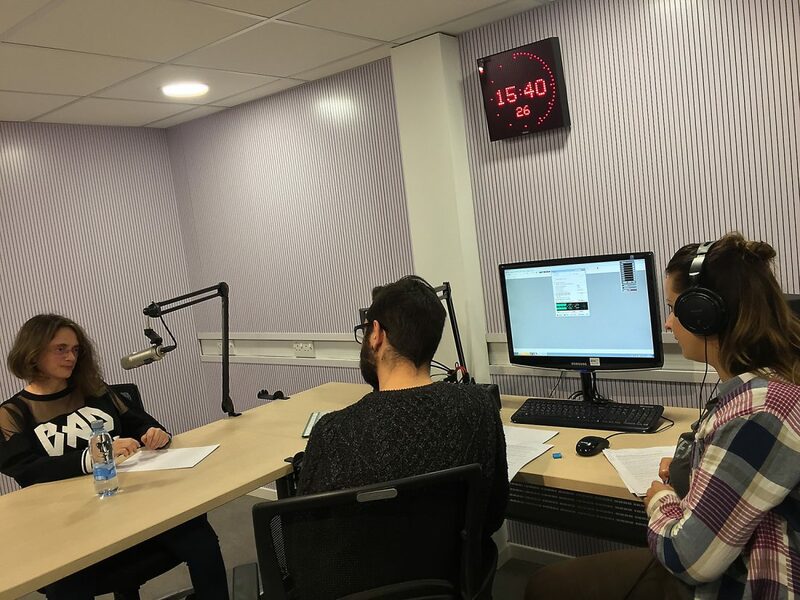 We specially thank students Kine Henriksen & Andreas Pastides for inviting Maria Papaefstathiou to be interviewed on the MA Course on Citizen’s Journalism at The University of Nicosia about Michael’s art. I, Maria Papaefstathiou, personally thank visual designer Charis Tsevis for his enormous support and courage in all the preparations for this exciting exhibition. 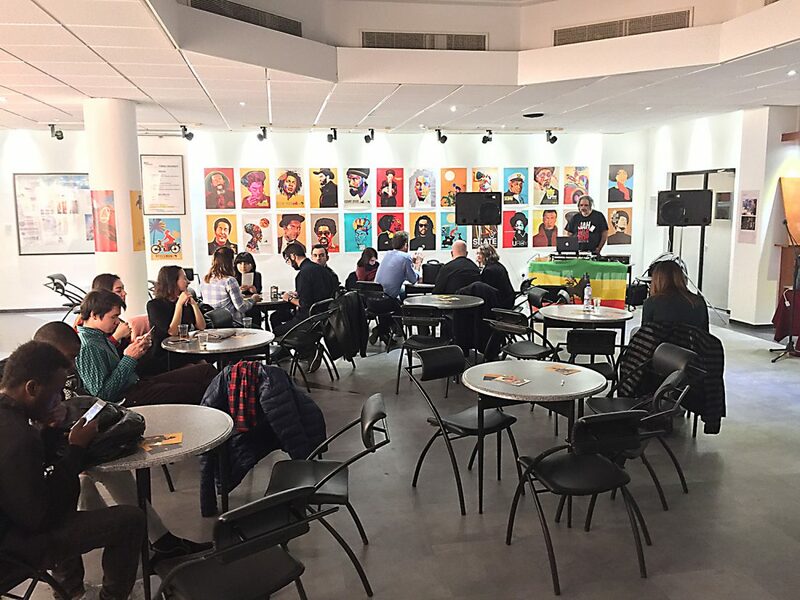 We also thank all of the designers who gave talks about their work at the 3rd Graphic Stories Cyprus event and who came to view the “FREESTYLEE ROOTS” exhibition – Rob Snow, Spiros Drakatos and Tonia Augoustaki from SpirTo adv, Nikos Gazetas and Michael Antonopoulos. “FREESTYLEE ROOTS” was supported and sponsored by the Consulate of Jamaica in Cyprus and Honorary Consul Mr Pantelis Michael Leptos, who, unfortunately, could not attend the opening because of urgent personal obligations. The exhibition was also supported by Royiatiko Hotel, Bank of Cyprus, FeedMe Kalopesas, makad, Politis Newspaper, Parathiro and RIK radio station.